Every year, the online sales market increases. It’ll growth from $2.3 trillion in 2017 to $4 trillion in 2020. The e-commerce market is huge, and still growing around the world as more and more people prefer online shopping. E-commerce as a whole still seems to have plenty of space to grow before it hits a ceiling. Online retail still only makes up approximately 12% of total retail sales. This percentage continues to creep up year after year, though, with record-shattering shopping figures and new mobile trends providing shoppers with more accessibility, flexibility, and security when it comes to purchasing products. But what will define digital merchants after the New Year? What are the e-commerce trends of 2018? The number of mobile devices is growing. 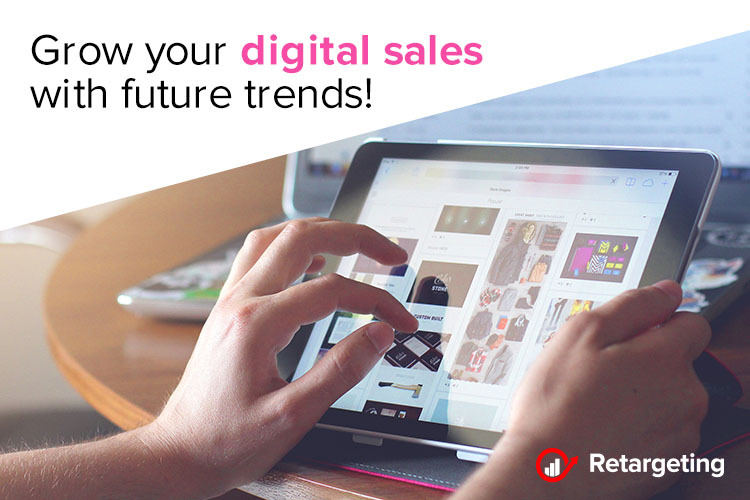 According to reports, about 39% of sales are via mobile devices and until 2020 mobile traffic will increase 8x times. Definitely, pay attention to this if your e-commerce website isn’t still mobile-oriented and your website should be responsive. If over a third of your page visits are via mobile, having your store optimized for a landing page to confirmation for mobile users is not an option, it’s mandatory. Your site should be responsive and your overall look and feel should be consistent over multiple devices and screens. Make sure that your mobile navigation and checkout are user-friendly and lightning quick. Every marketing department knows how important is to understand and know your customer. It’s not just Google Analytics, it’s a more complex approach to data processing. All actions will be recorded and processed. That’s a huge amount of data, but the more actions, the more accurate the customer portrait. Online stores will better understand each user and provide individual offers. Emails are now depended on what you’ve browsed, consequently, conversion rates increase for e-commerce. If there was anything 2017 brought forward, it was the rise of chatbots, artificial intelligence, and machine learning. 48% of consumers preferred to connect with a company via live chat than any other form of contact. These new developments are becoming more important than ever. Adding a bot in the mix could save you up to $0.50-$0.70 per interaction. When you’re not there, live chat doesn’t do a whole lot for your e-commerce unless you add a chatbot in the mix. Doing so can make you available 24/7 and provide easy service to the questions that are most frequently asked. Chatbots weren’t the only AI to make an appearance in 2017. We also saw the rise of AI and machine learning in determining just how likely a user was to purchase. The AI is able to track how a user acts when purchasing, noting their behaviors and determining how likely the next user is to purchase based on whether their behaviors match up with those who have already purchased. This allows for hyper-targeted remarketing that can close an otherwise lost sale. Devised by Think with Google, the micro-moments are one of the hottest e-commerce trends that are going to rule in 2018. In order to fulfill customer needs, e-commerce retailers reflexively take relevant actions based on their micro-moments. This helps to accurately anticipate customers’ actions and tendencies. Major brands are already catering their offers, leveraging these moments. Augmented and virtual reality are becoming more popular than ever as e-commerce sellers latch onto this engaging new trend. While these technologies are largely still in development, retailers from all over are scrambling to develop their own systems that will create virtual stores, products, and experiences for their customers. According to statistics, even if virtual and augmented reality is adopted at a low frequency in 2018, the world economic impact could be up to $2.5 billion. This could get as high as 12.6 billion dollars if the current adoption trend continues, given that 35% of consumers said they would shop more online if they could virtually interact with the products. This is definitely a trend to keep an eye on for the next year. Video content is a more attractive channel of interaction with customers. By providing an opportunity to increase conversion and helps users to better understand your product. Facebook already ranks post containing video higher than other. Video content increases sales by 64 to 85% by the statistic. Until 2020, every online store will use video content to describe the product. This requires additional resources and right now not every company can afford them. The user-generated content is taking over! User-generated content is one of the most valuable pieces of content you have access to. Not only does it give you real feedback on your store and products, but it’s fresh content that you don’t have to create. You know who loves fresh content? Google’s search algorithms. In 2018, user-generated content will be more important than ever before. Social sharing of your products makes friends and family of your customers that much more likely to trust your site, and a customer is 97% more likely to purchase after having interacted with this type of content. Digital marketing: What bring the best results? Harness the power of the almighty #hashtag!